Whether a word ends in an ‘s’ or ‘t,’ developing an awareness of the various ending sounds in the English language is an important step in language acquisition. Your students will appreciate you teaching ending sounds as they gain confidence in their letter identification abilities. For a little extra practise, have students either practise with the following worksheets or engage each other in the below group activity ideas from Education.com. 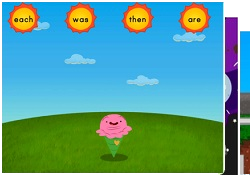 Kids help Cuz-Cuz get dirty and practise phonics by isolating ending sounds. All aboard! Kids help the gang get to school by sounding out and spelling simple words. 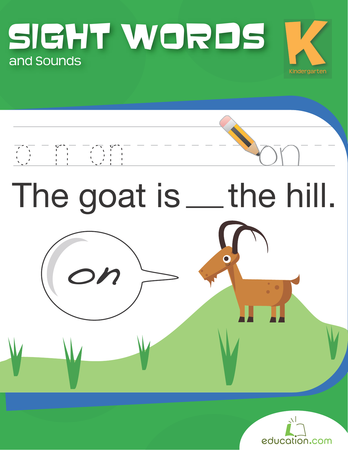 This worksheet will help your second grader practise his skills with phonics and reading by filling in the missing consonant at the end of the word. 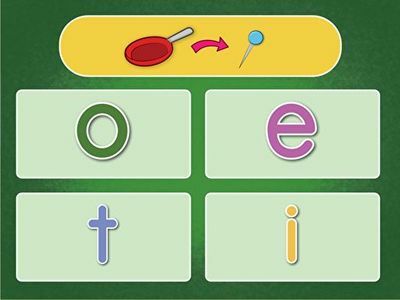 Build your kid's phonics skills with this letter swapping game. Help your year one student practise their beginning reading skills by reading CVC (consonant-vowel-consonant) words in this entertaining, animal-themed worksheet! This five senses inspired lesson will get your students excited about using their observation skills as they go on a classroom scavenger hunt! This five senses art and writing lesson will give your students an up close and personal look at the five senses and themselves. 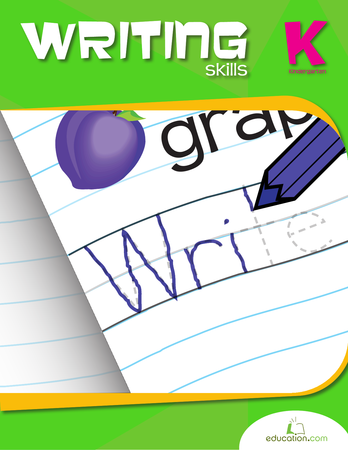 Teach children about phonics and language rules with these word-changer worksheets. 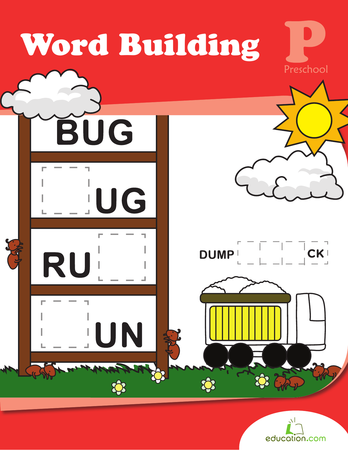 Teach your child about phonics and language rules with these word-changer worksheets. 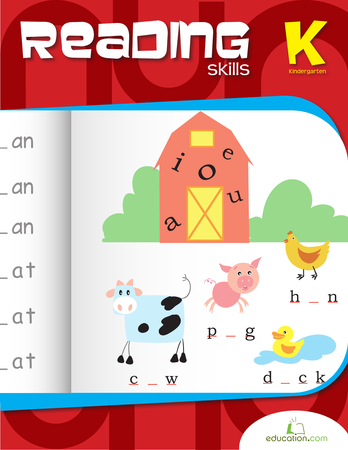 This phonics and spelling series gives your child tools to build words and read them out loud. He'll use letter and digraph cards to practise constructing words, spelling, and completing word ladders. Segmenting is a reading technique to help first graders break apart the sounds in new words. 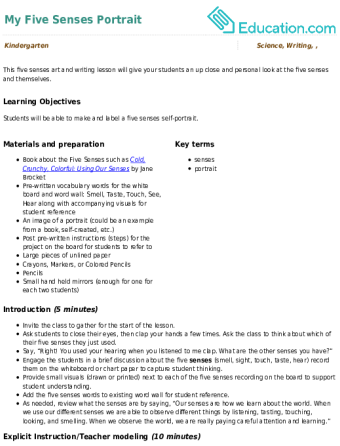 One example of this would be segmenting the sound units in the word black (b/l/a/k). This can help early readers tackle new words on their own, boosting reading confidence. 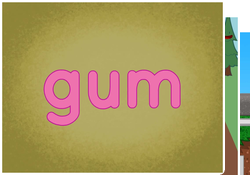 This guided lesson teaches kids how to segment words in order to improve overall reading fluency. Bat Cat Rat! The -at Family! 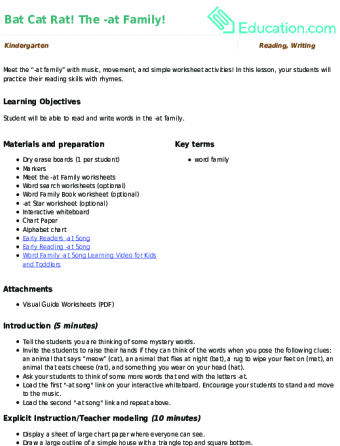 Meet the “-at family” with music, movement, and simple worksheet activities! 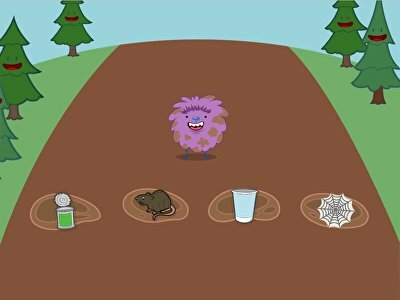 In this lesson, your students will practise their reading skills with rhymes. 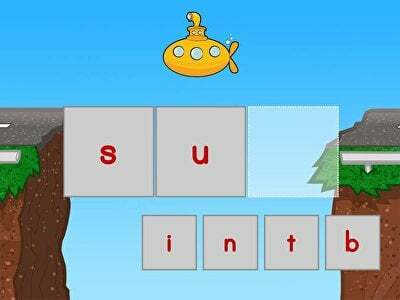 While your students can read by simple stringing together phonetic sounds, learning to recognise common ending letters and sounds quickly will help the process along. 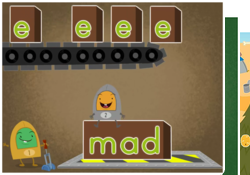 Many of the letter sounds don’t do anything different, depending on where they fall in a word. Some, though, may behave differently when placed at the end. Using the present tense of a verb requires adding the -ing ending sound to the verb. The Present tenseOf run is running. Another grammatical element that ends in -ing is the gerund. The gerund is still a verb but it serves as a noun. Adding the suffix of -tion to a word changes the meaning. 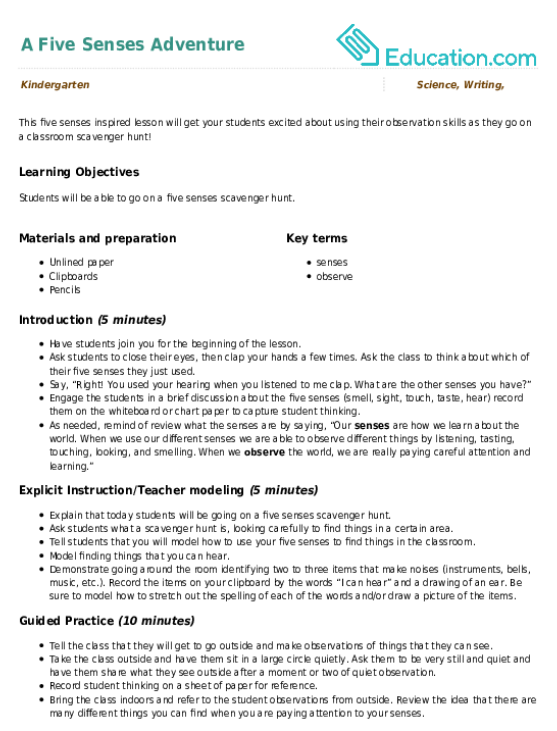 Once the -tion suffix is added, the words meaning becomes. For example, when the -tion is added to a verb, the meaning of the word becomes the result or effect of the verb. The verb compute becomes computation and now refers to the result of the compute verb. 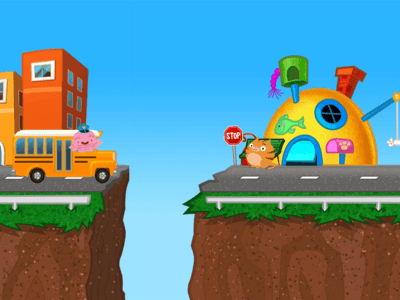 Using the resources provided above by Education.com could serve as a means to introduce your students to many of the different suffixes and help them read and understand their purpose.